It's my birthday...let's celebrate with a giveaway! Today is my birthday and I thought it would be fun to celebrate with a little giveaway! 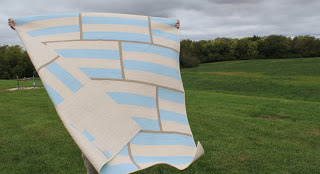 How about a copy of Modern Quilts from the Blogging Universe? There are lots of great projects in this book from some really amazing designers, including my Silo quilt, which is one of my favorites of all time. I'd love to share a copy of the book with one of you. Just leave a comment below and I'll randomly choose a winner. The giveaway ends Friday, April 12 at midnight ET and is open to both US and international residents. Good luck! P.S. Please be sure that your email address is either in your comment or your google account so I can contact you if you're the winner. Thank you! And don't forget to tune in to American Patchwork and Quilting Radio with Pat Sloan today at 4:00 ET. 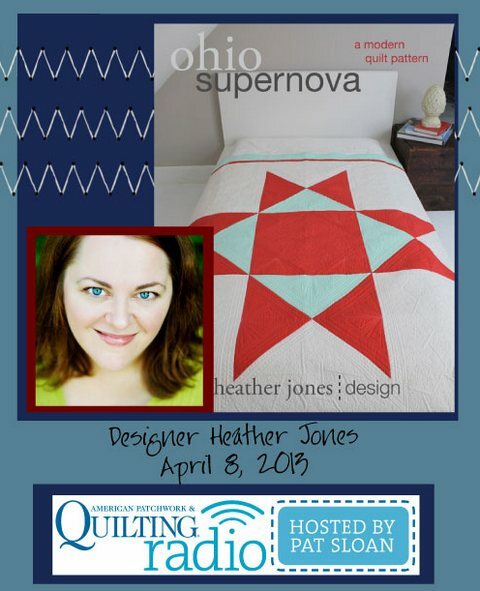 I'm a guest along with Jeni Baker of In Color Order and Jackie Kunkel of Canton Village Quilt Works. Should be lots of fun!